Any regular Joe can dress up like a fairytale protagonist. That’s easy! But it takes a special kind of fella with a bite in his bark to admit he’s feeling a wee bit villainous. But my, my, my, friend, what a great getup you have! 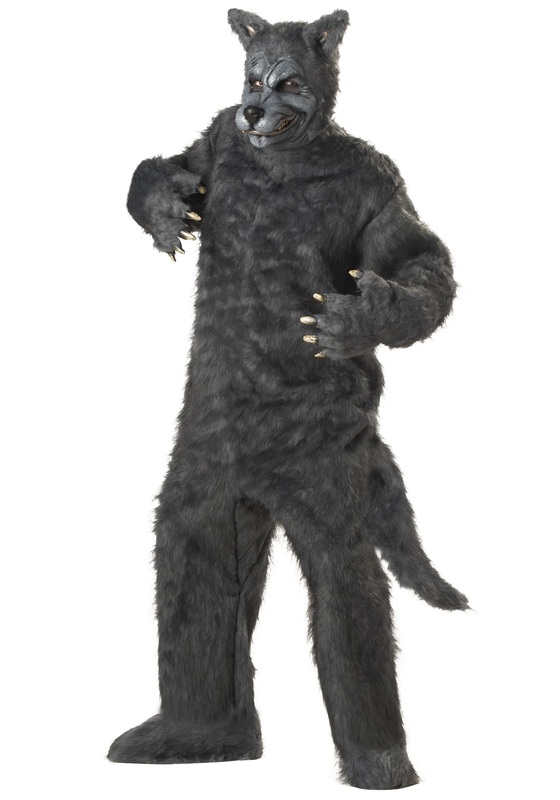 You look absolutely frightening in this Adult Big Bad Wolf Costume, and we are lapping it up! Because a bad boy like you knows there’s more to Mr. Wolf than meets the eye. And you want to embody him to find out his half of the story. Maybe when he had encountered Little Red, he had just been laid off and had forgotten to do his positivity visualizations. Or maybe the wolf was really just trying to feed his starving little pack of pups. Or perhaps he was trying to catch the attention of some feisty lady wolf, and she was drawn to daring antics. Whatever the story behind the story, you’re bound to find it out as you howl the night away in this furry costume. You’ll be covered from the tips of your ears to the claws on your matching shoe covers in this jumpsuit. And what big claws you have on this costume’s paw gloves. You can team up with Little Red Riding Hood, grandma, and a hunter to make a fairy tale come alive this Halloween. Or keep things a little dark and mysterious and carry around a (vacant) red hooded cape. Let people draw whatever conclusions they will; you write your own story wherever you go.